Cincinnati Food Madness — OhVarsity! It’s March, you guys. March 8, to be exact. It is the month of March. We are literally so into March right now, it’s insane. March SZN is basically bracket SZN. 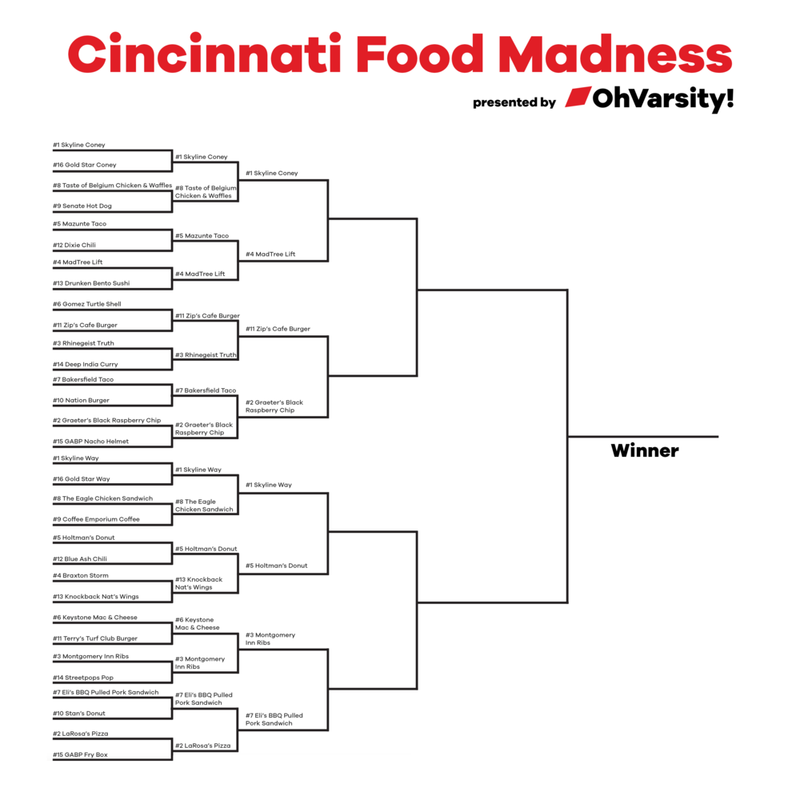 Before you can fill out your OhVarsity Bracket, join in on our flaming hot food takes with our Cincinnati Food Madness. Featuring local favorites such as Graeter’s, Rhinegeist and of course, Skyline, this is a social-based bracket with five rounds and 32 seeds. Voting will take place with Twitter polls that will be live for 12 hours. The winner of each poll will move forward in typical bracket style, with the winner being determined on Monday night. Follow along at @OhVarsity to vote on our food takes, with your food takes. May the best bite win.